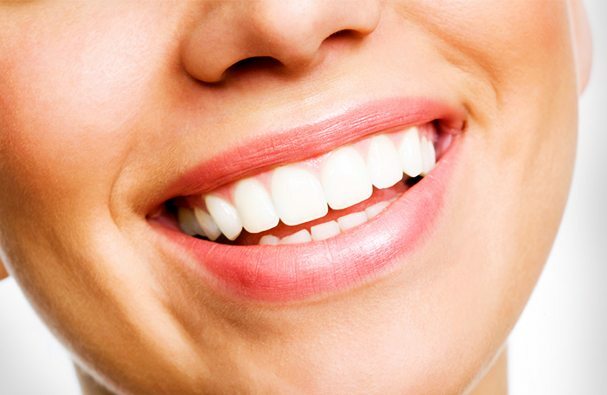 teeth whitening Archives - Oracle Dental Family-friendly dentist offering the best care on the Gold Coast. When we’re young it’s easy to fall into the trap of thinking that we’re indestructible and treat ourselves accordingly. While we’re pretty resilient, we’re certainly not immune to damage and one area often overlooked is our teeth. Drinking, taking drugs, smoking and even exercise can all have a negative impact on the state of our oral health and permanently damage our teeth. But with a little care, guidance and a regular trip to an understanding dentist will get you through your “experimental years” with a clean bill of health and a good set of teeth and gums. The sugars and acids in alcohol (including beer and mixed spirits) will erode your enamel and leave you vulnerable to infection and decay. 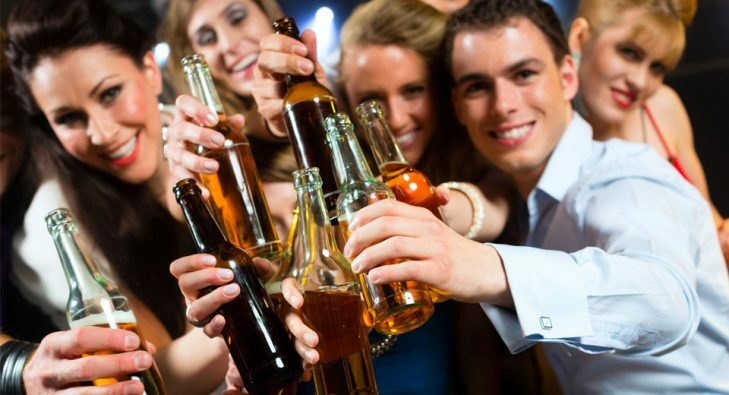 Heavy or binge drinking resulting in vomiting floods your mouth with tooth-eroding stomach acid. And even if you manage to keep your dinner on the inside, coming home drunk means you’re far more likely to crash without cleaning your teeth. Brush your teeth with an enamel-protecting toothpaste before going out and leave your toothbrush on your pillow to remind you to brush again when you get home. Have a glass of water with you while you’re out and try to swish between drinks to rinse away the sugars and acids. On your way home, pull out some sugar-free gum to chew and increase saliva production to protect your precious assets. Exercise can be great for your health, but did you know the sports drinks you gulp down after a game in the heat will erode your teeth as fast as coin-cleaning cola? When we exercise we become dehydrated and often finish with a dry mouth. This lack of saliva leaves us without any protection against the first things we then eat or drink. Consuming high-sugar foods after a game leaves our teeth wide open to damage. Throw in a high-acid, high-sugar sports drink and we’re in double-trouble. You might be tempted to brush your teeth to get rid of the sugar or acid after drinking one of these drinks but in fact, the brushing will further damage the acid-softened surface. If you’re rehydrating after sports, try to use a water bottle with a spout or drink with a straw to avoid to acid washing over your teeth. Don’t brush after one of these drinks but consider swishing your mouth with water instead. Avoid drinking them before bed. You already know that smoking isn’t good for you, but if you have taken it up there’s no point us harping on the point. What you do need to know though is that smoking affects your gums and makes it difficult for your dentist to assess your oral health. Additionally, like exercise, smoking affects your saliva production and leaves your mouth susceptible to the acid in food and drinks. Smoking is also the leading cause of oral cancer. Tell your dentist that you smoke and be honest about the amount – it will help them assess your oral health and give you the advice and treatment you need in order to keep your teeth in their best possible condition. Regular brushing and flossing will help slow down the deterioration, along with regular dental visits but in the end, nothing beat quitting smoking. Everyone wants a beautiful smile. Not everyone can afford the financial and time costs associated with a smile makeover involving porcelain crowns, porcelain veneers or orthodontics (braces). 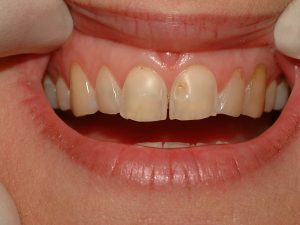 Composite bonding provides an answer to correct rotations, gaps, discolouration and traumatic injuries. 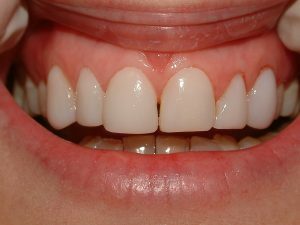 It is an easy and inexpensive procedure whereby resin material bonded to the teeth is shaped and polished to give a nice, even appearance. + anaesthesia is often not necessary. Bonding lasts on average 5-7 years, but how long it lasts depends on how much was done and your oral habits. During this time some maintenance may be required. Oracle Dental is excited to announce that it is now able to offer one of the biggest innovations in dentistry for some time – Quick Straight Teeth. Quick Straight Teeth is a new invisible braces system that allows you to get straight teeth faster, with minimal disruption and discomfort and at a fraction of the price of traditional braces. So now, great-looking straight teeth don’t have to cost you a small fortune. Our qualified Quick Straight Teeth dentists can apply the fixed or removable braces to your front six to eight teeth in our family-friendly Gold Coast clinic and have you on your way to a beautiful smile in about six months. Compare that to appointments every six weeks for up to two years with conventional braces and you’ll start to see why we’re excited. And because you will only need an average of six visits to our clinic during the treatment, your investment in straight teeth will be around half the cost of conventional braces. What’s more, with our relaxed and comfortable Broadbeach clinic and our super-friendly team, you’ll enjoy every visit – think aromatherapy in the treatment rooms and a special refreshment area to freshen up after your visit with a facial spritz, hand cream and bottled water. Give us a call today for a no-obligation consultation on your new straight teeth. You can find out more at QST Australia or visit our information page here.